Back-to-School means a LOT of printing and laminating for us teachers. Everything needs to be laminated if it’s going to stand a chance of surviving the year: posters, name-tags, calendars, vocabulary cards, homework passes, etc. If like mine, your school only has one laminator, then you’ll know the moment of sheer panic when it breaks. And it ALWAYS breaks the day before school starts because EVERY teacher in the building is using it. This year, I’m helping out my teacher friends by sharing a little secret. My secret to stress-free laminating and back-to-school prep. You can buy your own Scotch™ laminator for $20 at Walmart! REJOICE! HALLELUJAH! I have just saved you from countless meltdowns in the copy room as that one laminator chews up your place-cards for the second time or runs out of laminating sheets just as you have everything ready to feed through. Take a deep breath. Relax. You can forego the madness this year. I’ve got another treat for you too. I’m going to share my Dry Erase Calendar with you. Just print it and laminate it in the comfort of your home or classroom. It’s awesome because like the title suggests, it’s dry erase. I like to use it in conjunction with mini Post-it® notes. I bring sticky notes everywhere with me and write reminders on them, then transfer them to my calendar. My calendar is hole-punched and popped into my teacher binder. If you use quick-dry markers you can close it up quickly and it won’t smudge. Teachers have to be flexible about what they’re teaching. If the class doesn’t “get” something one day, it needs to be retaught the next. This calendar is perfect for this – no more scribbles or strikethroughs when plans change! 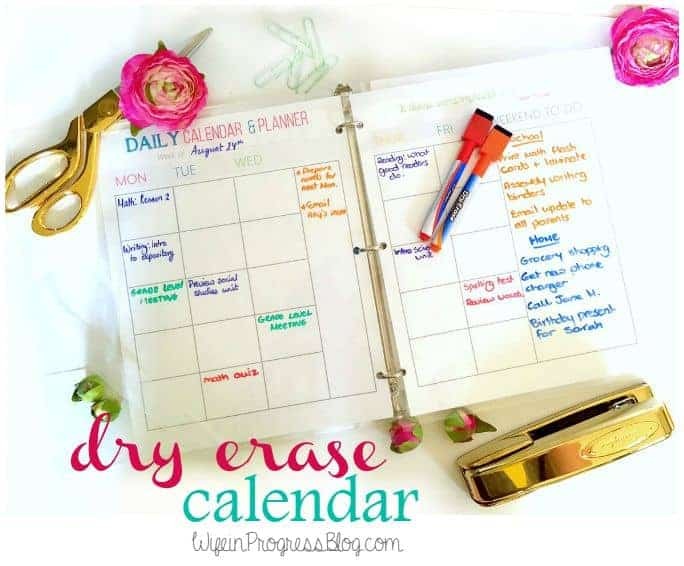 The calendar works great as a student or blogger planner, too. Print, laminate and pop it up on a notice board. Decorate it to your heart’s desire using flags, Post-it’s® and washi-tape. I like to be able to see the entire week at a glance so I laminate the printed pages individually, but you could do them front-to-back if you’d prefer. Then use a three hole punch and put it in a binder. There are many variations you can take on this. How about a homework assignment reminder for the kiddos? Or a chore list? Both would work great laminated and hung up in a kitchen command center. Easy to spot and definitely a great way to help children stay accountable. As a teacher, I often make checklists to help students stay organized. 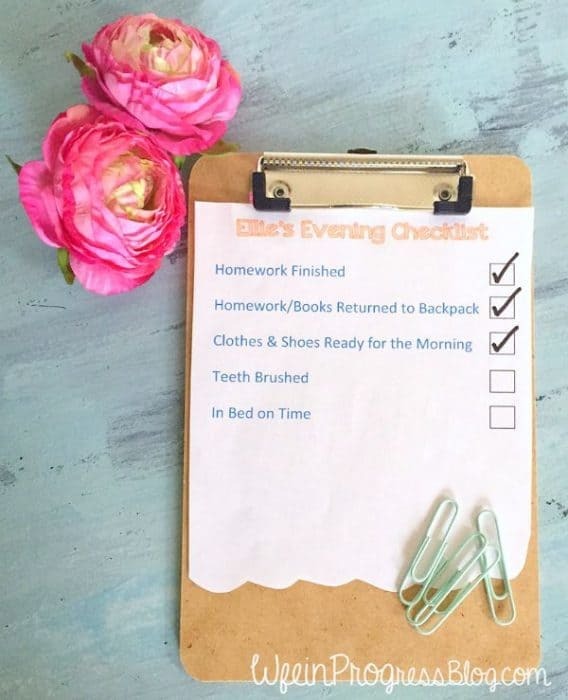 These checklists are printed, laminated and then attached to a student’s backpack or hung up somewhere visible like the fridge. 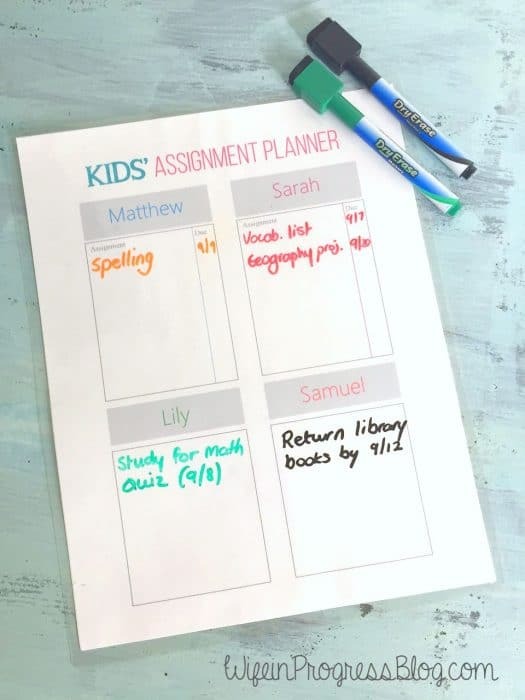 Using a dry-erase marker, they can check off each item in the morning or evening. Kids love checking the items off, it keeps them organized and they feel very responsible! Walmart has everything you need for Back-to-School. 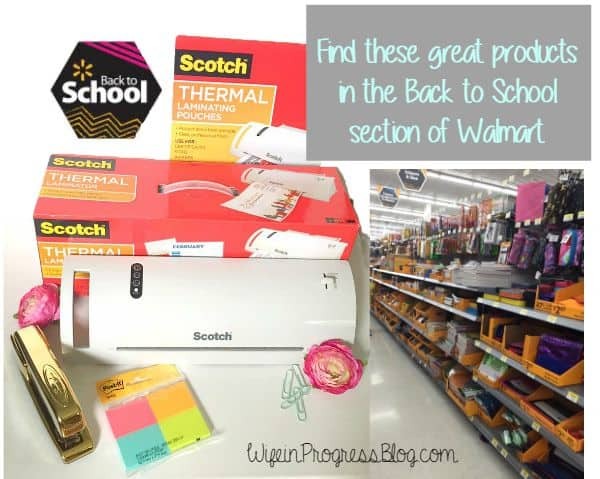 The Scotch™ Thermal Laminator and Scotch™ Thermal Pouches used in this post are available in the Back-to-School section of your local Walmart. Be sure to grab them before they’re gone! I’ve shared how I’m using Scotch™ Laminating Products to get ready for Back-to-School! Now it’s your turn! How are YOU getting ready for Back-to-School? Thanks Sue! Def grab one, they are my new go-to gift for my teacher friends! !